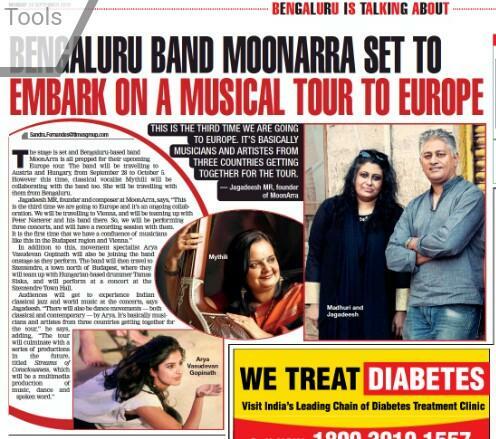 MoonArra World Fusion embarked on another collaborative tour of Austria and Hungary in Europe, performing and recording with musicians based there as well as conducting workshops. This year 2018 marked the third year of collaboration with Vienna based musician Peter Natterer. The collaboration started in 2016 with a series of concerts in Vienna, and in 2017 a recording project which resulted in the album ‘Lily Walking’ online and this year 2018, from Sep 28 – Oct 5 the founder members of MoonArra, Jagadeesh M.R and Madhuri Jagadeesh along with Indian Classical Vocalist Mythili collaborated with Peter Natterer saxophone, Ulli Pesendorfer, drummer and Richard Barnert on bass for 4 concerts in Vienna, Austria. 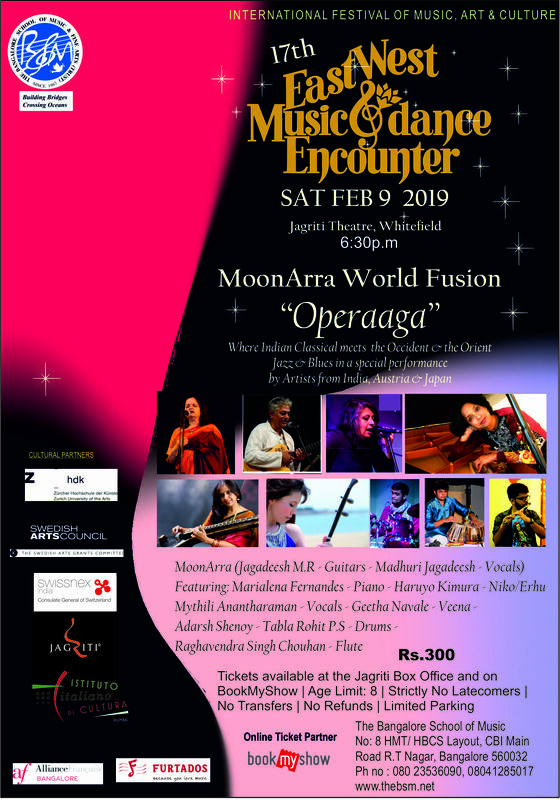 (MoonArra members will also be collaborating with Peter Natterer for a second studio project called ‘Streams of Consciousness’ which will culminate finally into a series of multi-media, inter-disciplinary productions on stage in India and overseas.) The trio presented a workshop on Indian Classical Music and its usage in contemporary music in Vienna. 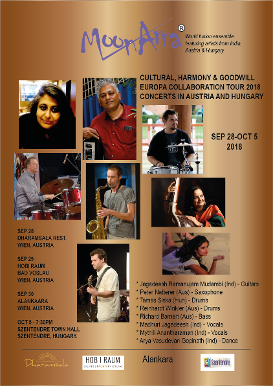 Post Austria, on October 5, MoonArra members Jagadeesh M.R, Madhuri Jagadeesh and Mythili Anantharaman traveled to Szentendre, a picturesque, baroque town north of Budapest where they performed in collaboration with Hungarian based drummer Tamas Siska and bassist Hoppal Mihaly at the Szentendre Town Hall. Movement specialist Arya Vasudevan Gopinath, currently studying in Milan, joined them on stage. 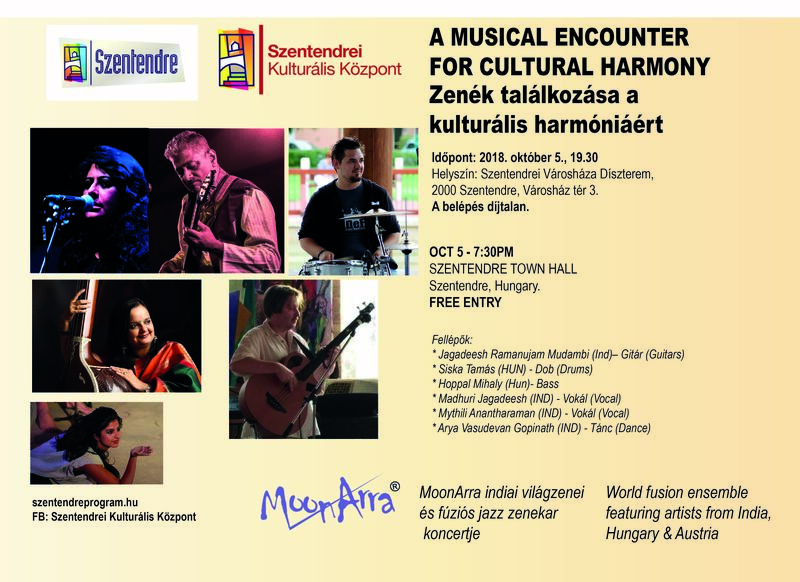 The concert was organized by the Szentendre Town Council. 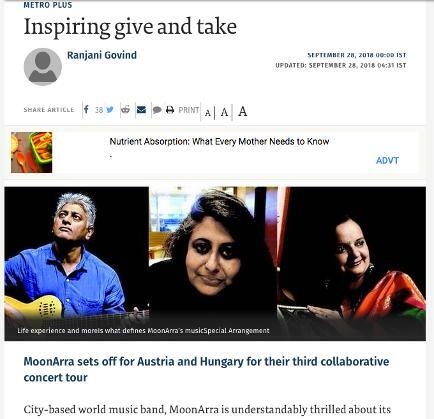 This was MoonArra's second concert in Hungary after the concert at A38, Jazz club in Budapest in 2017 with Norbert Kael and Tamas Siska.